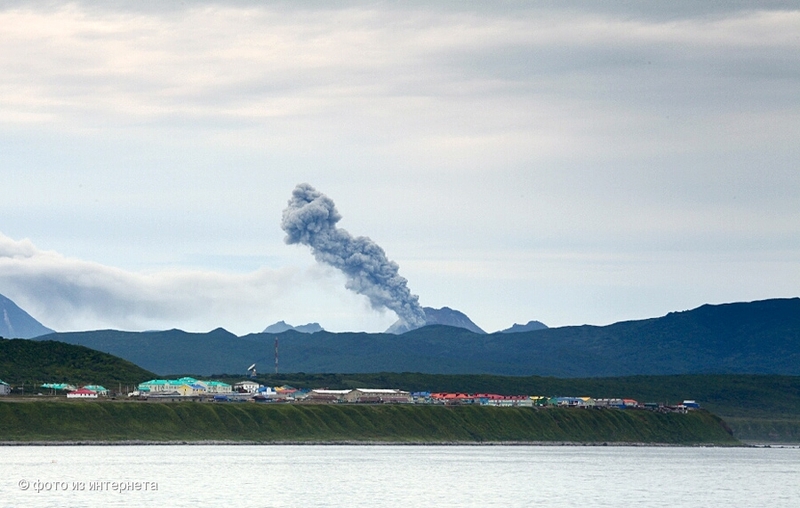 Eruption of Ivan Grozny volcano at 02:30 UTC on April 04, 2013. 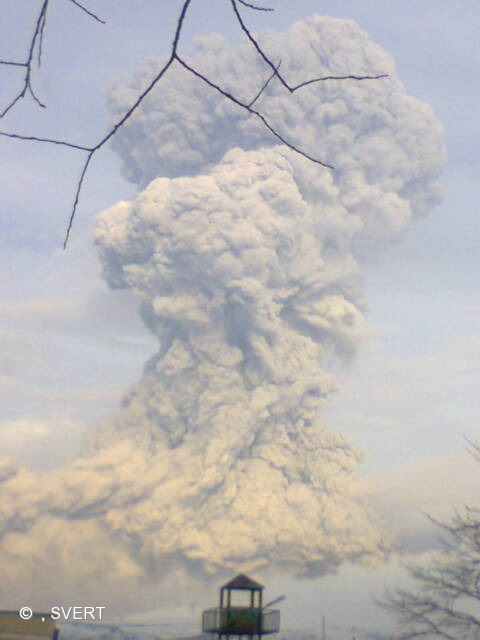 Eruption of Ivan Grozny volcano on April 04, 2013. 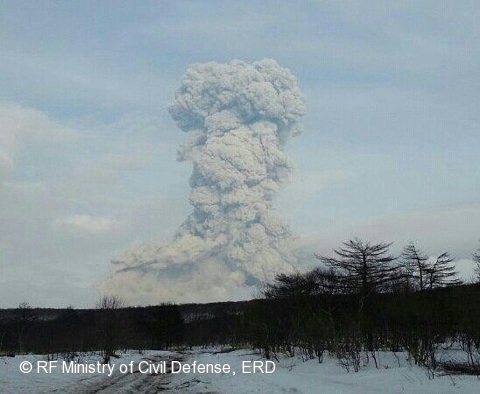 Ivan Grozny volcano summit on July 1973. 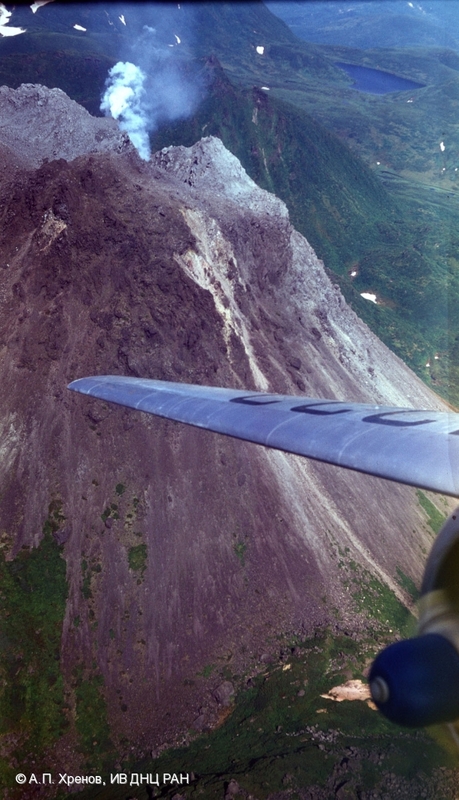 Fumaroles at the edges of explosive crater that was formed in the eruption on May 16, 1973. 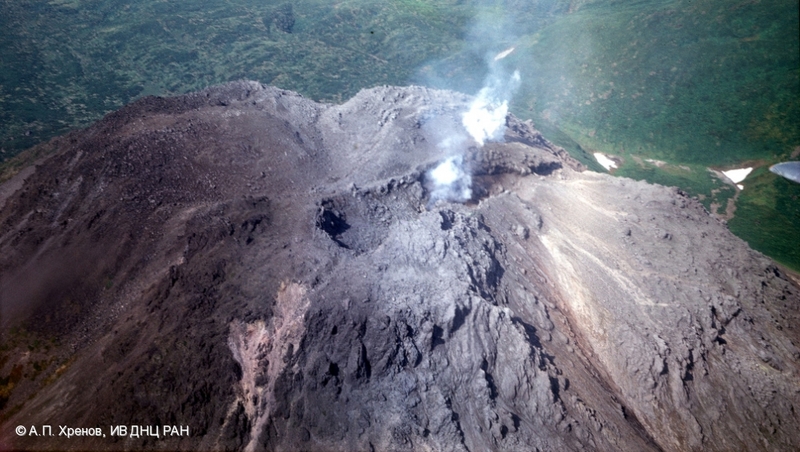 Ivan Grozny volcano summit on July 1973. 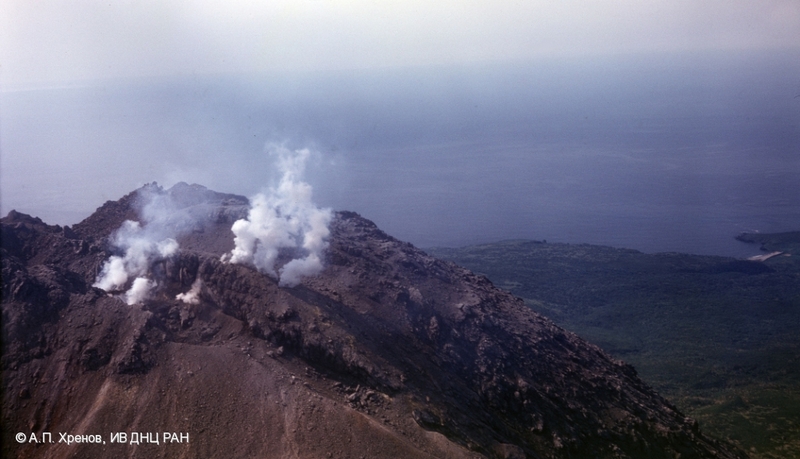 Ivan Grozny volcano (Iturup Island) on July 1973.